Here is Stanley. He suffered from Alzheimer's, Balance Disorders and Hearing loss. Here is Stanley's daughter-in-law, Heather. She suffered from Rheumatoid Arthritis. She was in constant pain. Here is David. He has had two quadruple bypass surgeries and had no energy. Here is Michael. See what happens to his Parkinson Disease tremors in short order. Here is Robert. He had PTSD and osteoarthritis conditions with his shoulder. He also has a pacemaker. That's how safe this technology is. Here is Natasha. She's suffered from severe vertigo attacks for 12 years. When she came for a treatment, she had a migraine headache, was nauseous, had trouble focusing and still experiencing vertigo symptoms. The above was accomplished non-invasively, with only positive side effects (Stanley got his hearing loss corrected, while treating his Alzheimer's), with no pharmaceuticals, surgery or supplements. Only DNA frequency. Imagine, no one ever suffers from a chronic condition. No one ever is disabled or sick with a disease or condition. After everyone is healed and in optimum health, this technology could be used as Preventative Medicine, so no one would ever get sick again. Here is the technology, which can make that a reality. 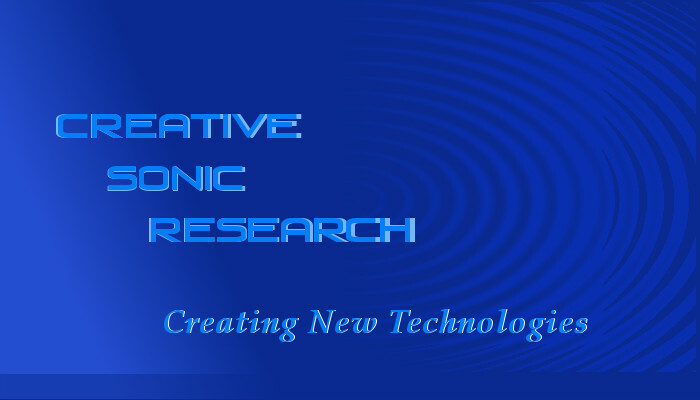 © 2011-2017 Creative Sonic Research LLC. All Rights reserved.